The transfer window was a bleak, sombre affair for the Gooner family. Usually the biggest problem you face in a time of such adversity is coming up with a jibe witty enough to retort to your work mates. Now it's clear the turmoil lies within, the divide that exists amongst the Arsenal fans is becoming insufferable for all involved. There are those that can no longer abide by Wenger's rule and those who still trust the Frenchman to prevail. Is this tear in the Gunner's fabric repairable? It's important to state, this is not an article about where people should position themselves on which side of the fence, but more about why it's more important for the Arsenal faithful to re-unite for the good of the team. I don't question anyone's criticism of Wenger, it's clear he's not perfect and has made mistakes. Not signing a striker or back up for Coquelin could well prove to be an error which he will have to take responsibility for. However, I do question the level of abuse that some have aimed at the man. We are talking about the most successful manager in the club's history. You can trace the record books back to the days of Dial Square or Bertie Mee, you won't find a man who has impacted the club more positively then Arsene. He brought success to our club that we couldn't dream of and whoever eventually takes over from him, will receive a club in the healthiest shape possible. Therefore, at the very least he deserves respect, which most fans give, but for the fans that hurl vile abuse, I have to question the validity of their love and support for Arsenal. Regardless of one's stance on Wenger, he simply isn't going anywhere soon, I wouldn't ask anyone to change their opinion, but more, put it on the shelf for the good of the club. If we are not as one, the atmosphere will have no hope of resembling that of the 12th man. It's our responsibility to change the perception the Emirates has as a library. You can't help but notice Arsenal have underperformed at home, could this be due to the tense mood in the air? If we as fans can influence this by being resolute, surely this will impact positively? I get it, Wenger is a mysterious man, his cards are close to his chest. I've questioned many of his decisions and he doesn't exactly say much to alleviate frustration. 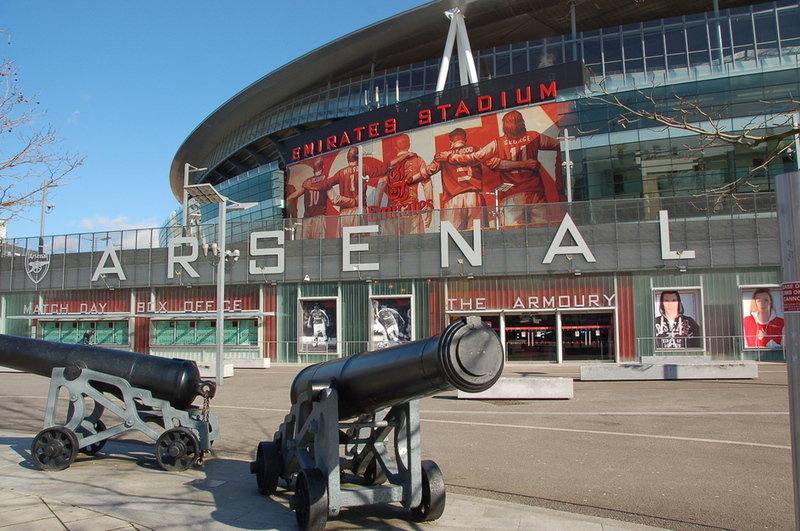 Whilst many can boast vast knowledge of Arsenal, little is known about how we actually operate, from our scouting team to whether there is any kind of democracy at all in the key decisions. Le Boss is not the only one culprable, the summer wasn't helped by Lord Harris and Ivan Gazidas bragging about our bank balance and pulling power. We ended up resembling a leading male on 'The only way is Essex'. Silent Stan Kroenke's commitment to Arsenal leaves one curious, Are we just his cash cow? Does he care about our results like Ambramovich or Mansour? This is difficult to ascertain and certainly adds fuel to the discontent fire. Transfers are like fashion, exuberant and dynamic, they generate such excitement, but is it all about football or all about entertainment? The industry makes it easy to forget desire, passion and determination are the difference between winning that second ball or gambling on a strike. Hidden elements like this are often what separates the winners from the losers. Money has become an intolerable burden upon the charachter of the game. We live in an era where we refer to people as 'In the Know', you know the type, fraudulently feeding desirable information back and fourth over social media. Before the days in of the Internet this was much easier to dispel as codswallop, it was usually a builder in a cafe, claiming he had the inside scoop as his uncle was Bruce Rioch's taxi driver. These days are long gone and we are left pandering for any information that might give us some indication of what Arsene is thinking, but this is one game we will always lose. It's safe to say even if you do have contacts at Colney or the Emirates, I promise you they don't know what Wenger is thinking either, no matter what they confide. It wasn't always about transfers, Pre season used to be about squad development, and a developing squad still stands before us. Let's give them the chance to see what they can do before we write them off completely and never forget Victoria Concordia Crescit.